The holidays are the perfect time to curl up with the kids or gather all of your students on the rug and read a good book. Whether you celebrate Christmas, Hanukkah, or Kwanzaa, or just want a nice winter read, we’ve got something for you. 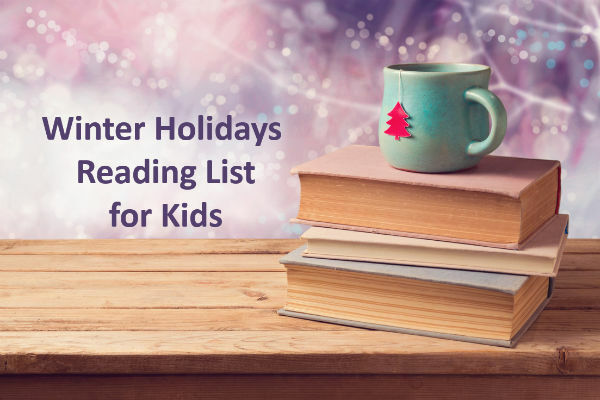 Our holiday reading list includes classic tales, read-alouds, and even some more recent stories that may become your new holiday traditions. From classics like “How the Grinch Stole Christmas” and “The Polar Express” to more recent additions such as “The Elf on the Shelf” there are plenty of Christmas stories for kids to enjoy around the holidays. While these stories are listed by age, many of them will be enjoyed by the whole family. Pine trees, gingerbread men, and hot cocoa are all traditional Christmas smells kids can experience as they sniff their way through this scratch & sniff Christmas story. For years, the old pine tree has sat in the field, wishing to be a Christmas tree. Seeing him so sad gives the animals an idea to help him get his wish. Mouse, from If You Give a Mouse a Cookie, decorates his Christmas tree in this simple counting book for young children. The Elf on the Shelf has become a tradition for many families. Even if you’re not a fan of the elf, you can read this fun story with kids. “You can’t catch me, I’m the gingerbread man!” This classic tale about a popular Christmas cookie is a great read during the holidays. Read it to kids or let them enjoy this read-aloud version on their own. A boy builds a snowman who ends up taking him on an adventure in this classic Christmas story. “All aboard!” The Polar Express takes young boys and girls to the North Pole. After reading the book, watch the movie version with kids and compare the difference. It’s hard not to love this Christmas classic from Dr. Seuss about a Grinch whose heart grew two sizes that day. ‘Twas the Night Before Christmas has been retold many times. Listen to the original version of the story, called “A Visit From St. Nicholas,” in this read-aloud version. A poor shoemaker wakes up one morning to find his day’s work has already been done in this classic fairy tale by the Brothers Grimm. The read-aloud version is fun to listen to with kids. “One dollar and eighty-seven cents. That was all.” Those lines begin the classic story about a young couple in love and the sacrifices they make for Christmas. Chances are you know a few Scrooges of your own. Read about the original Scrooge in this classic Christmas story. You can also find worksheets covering each stave of A Christmas Carol on Help Teaching’s literature page. Whether you celebrate Hanukkah or simply want to teach children more about these Jewish holidays, these books will introduce kids to the history and principles of The Festival of Lights. Lemony Snicket’s The Latke Who Couldn’t Stop Screaming is a hilarious story about a latke. As kids read the story, they’ll also learn about the importance of Hanukkah. The How Do Dinosaurs Say series is popular with kids and How Do Dinosaurs Say Happy Chanukah is no exception. This simple story teaches kids about some of the traditions of Hanukkah. A lack of money and food won’t stop a family from having a wonderful Hanukkah in this touching story about the holiday. Give kids a refresher on the story behind Hanukkah. Our short read-aloud introduces them to the history of the holiday and explains why the Menorah is lit today. This Jewish folktale isn’t necessarily a Hanukkah story, but the moral of the story is a good one to teach kids around the holiday. A beggar finds a purse of gold, but kids have to listen to the read-aloud to discover what happens next. Every year the goblins come out and try to ruin Hanukkah for the village. This year, however, Hershel shows up to send them packing. Experience the sights, sounds, and events of Hanukkah through a series of haiku. Once kids have read the haiku in the book, encourage them to write their own to share their experiences and thoughts about Hanukkah. A Mad Libs book may not seem like a great choice, but these Mad Libs take Hanukkah events and allow kids to add their own words to create truly hilarious stories. While this book is more about creating than reading it’s a great way to get often disinterested pre-teens and teens involved in the holiday. There aren’t as many stories written about Kwanzaa as their are for other winter holidays, but we’ve found a few to help kids learn about the holiday. All of the books promote the holiday’s theme of celebrating black heritage and living life in a positive way. Inspired by Brer Rabbit stories, Li’l Rabbit’s Kwanzaa tells the story of a rabbit who wants to make his Kwanzaa better. Throughout the story, he learns some important lessons about the holiday. 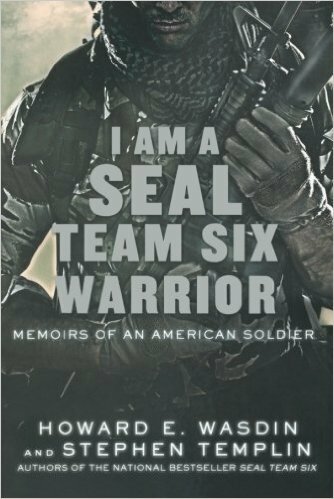 This story tells the tale of seven brothers who are always fighting. When their father dies, he leaves them with a seemingly impossible task. As they complete the task, the brothers learn the importance of working together. In this informational book, kids will learn about the key principles of Kwanzaa. They’ll also crafts, recipes, and other activities related to the holiday. In addition to these stories, Help Teaching’s Kwanzaa Reading Passage gives kids a brief overview of the holiday and the seven principles it celebrates and our Lessons page features a read-aloud story to represent each principle of Kwanzaa, including: Anansi Writes a Song (Kuumba), Anansi and His Sons (Umoja), The Collared Crow (Imani), The Feast (Ujamaa), The Great Drum (Ujima), The Three Tests (Kujichagulia), and The Name of the Tree (Nia). We know there are many other great holiday books for kids. What are some of your favorites? Hispanic Heritage Month (Sep. 15 – Oct. 15) is all about celebrating the contributions of Hispanic and Latino people to the United States. 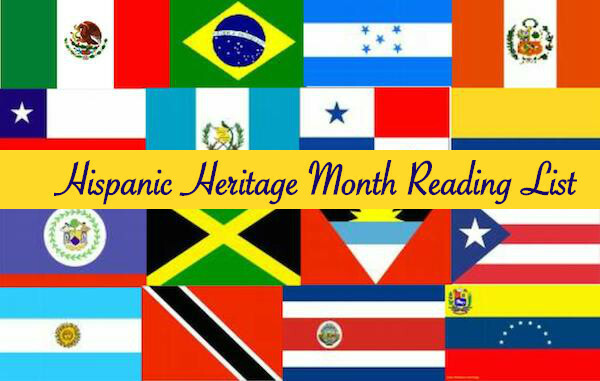 There’s no better way to celebrate Hispanic contributions and culture than through literature! Whether you’re looking for a book for a preschooler or a novel for a teenager, there are many amazing books written by Hispanic and Latino authors. Not sure where to start? We’ve highlighted a few of our favorites. Imagine what life would be like if you could fly. In this fun picture book, Rosalba flies around Manhattan with her grandmother and learns a lot about life along the way. The story mixes English and Spanish words and helps kids learn about Hispanic culture. What are you thankful for? No matter what language you speak, there are many things to be thankful for. Kids are challenged to find things they are thankful for, just like the young boy in this simple picture book by one of the best-known Hispanic authors for children. Nino is a spectacular wrestler and can defeat all of the greats. Kids will love the exciting illustrations and sound words used throughout the books. Parents will love the Spanish words and pronunciation guides. 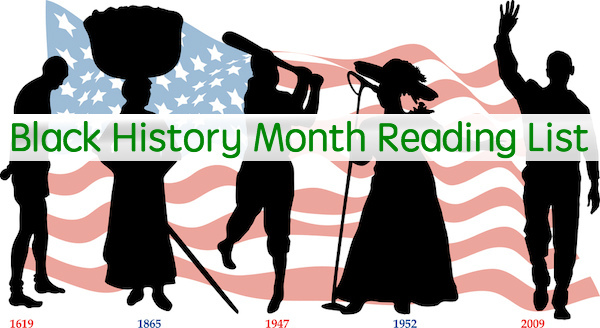 Pam Munoz Ryan is one of the best-known Hispanic authors for this age group and Esperanza Rising is one of the best-known Hispanic novels for kids. This story follows a young girl as she loses her father, moves to the United States, and loses her social status, all while discovering herself. This book discusses cross-cultural friendships and keeping hold of your heritage while trying to assimilate. It follows the relationship between a young farm boy whose parents hire migrant workers to help keep their farm afloat. This novel has won many awards. Every child goes through a phase where they must discover who they are and stand up for themselves. In this novel, Maria’s teacher wants to call her Mary, but Maria is a name that holds a lot of significance. It follows Maria and her family as they learn how to balance their heritage with their American life. Pablo Neruda is a famous Hispanic poet and The Dreamer offers a fictional take on his life. This award-winning novel tells the tale of a Chilean boy who goes on to become a famous poet despite having an incredibly negative father. It is a very motivational read for middle school. Gary Soto has written numerous coming-of-age stories for children and young adults. This is one of his best-known collections and a great read for pre-teen and teenage boys. The collection, which has also won numerous awards, including the ALA Best Book for Young Adults, shares stories from Soto’s life growing up in California, and shows not only a Hispanic experience, but an experience all boys can relate to on some level. This award-winning novel tells the story of Celeste, an eleven-year-old girl from Chile who is sent to live with her aunt in the United States. Not only does she have to learn how to navigate life in the United States, she must also come to terms with what is going on in her home country and worry about her parents who are still there. This is one of the quintessential story collections that every student should read. The coming-of-age book follows Esperanza Cordero as she grows up and learns to connect her Latino culture with her desire for something better. It also includes the popular short story Eleven. This novel has won numerous awards and has been hailed as a “new classic” for the twenty-first century. It tells the tale of the four Garcia sisters who flee the Dominican Republic and must learn to start their lives again in America. Each one has a different experience, but all are connected. Violet Paz does not know a lot about her Latina heritage and does not consider herself anything but American. In fact, she is half Polish. This book details how she comes to learn more about her Latina heritage as she plans her traditional coming-of-age party when she turns 15. While these are some of our favorite books for Hispanic Heritage Month, we know there are many other great books out there. What are some of your favorite books that celebrate Hispanic and Latino culture? Also, remember to check out our graphic organizers which you can use to help kids think critically and conduct an in-depth analysis of these classic texts. When it comes to reading a novel, many students shrug off the reading and just watch the movie version instead. Well, two can play at that game. Teachers can give students a little of what they want by incorporating the movie versions of books into their discussion and activities, but that’s not the only way movies play a role in the ELA classroom. A movie is just another type of text and it can be analyzed just as easily as a novel, a short story, or a poem. The easiest way to incorporate movies in the ELA classroom is simply to have students watch the movie version of the novel or short story they are reading. While many teachers typically show the movie version after students read, others choose to show the movie before they read. This may be particularly helpful when it comes to reading more difficult texts such as Shakespearean plays or ancient texts such as The Iliad and The Odyssey. Watching the movie first provides students with a context and general overview of the book, making it easier to understand and recognize key details as they read. If students watch the movie before they read the book, chances are they will notice that the movie version failed to include many details they find in the book and will begin to make comparisons between the two. To ensure students actually read the book, teachers should pay attention to the differences between the book and movie, not only giving students a chance to compare and contrast, but also testing their knowledge on facts and details they know were not included in the movie version. Help Teaching’s Comparing a Book and Movie Worksheet can give you an activity to start with. Instead of watching the movie version of a novel, the movie itself can be the text. After watching a movie, students can still answer many of the same questions they’d be expected to answer after reading a book. In fact, Help Teaching’s General Movie Analysis worksheet has students analyze the theme, characters, and other literary elements found within a movie. The same can be done with the General Documentary Analysis worksheet to help students analyze documentaries and other informational films. Teachers may also choose to use movies to introduce themes or introduce students to various literary concepts. For example, when teaching about the hero’s journey, teachers can have students watch the movie Hercules to familiarize themselves with what the different stages look like before tackling a book such as The Odyssey. Instead of having students read a book about a particular period in history, teachers could have them watch multiple movies that tackle the subject. 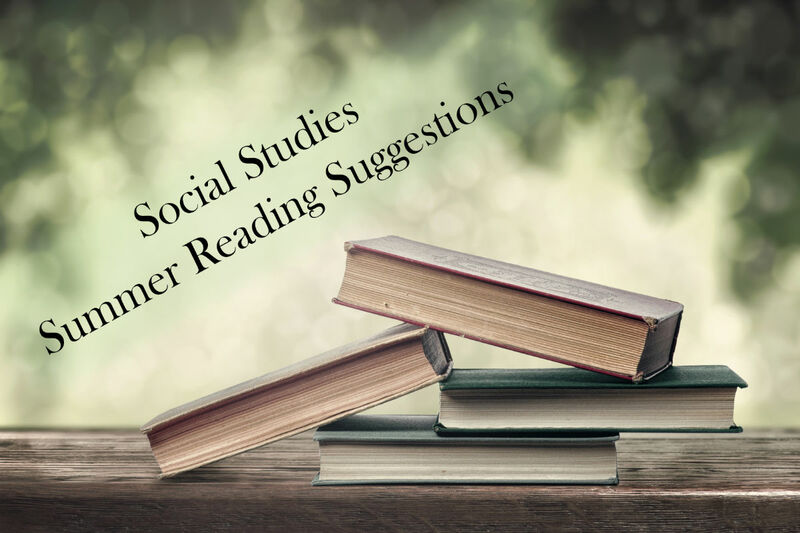 For example, when studying The Holocaust, instead of reading The Diary of Anne Frank, students could watch Au Revoir Les Enfants, The Boy in the Striped Pajamas and a movie version of the popular diary, comparing how they portray that specific event. Incorporating movies in the curriculum also helps when teaching students about specific elements of literature or writing and teachers don’t always have to show an entire movie to do it. Want to help students understand the importance of public speaking or how to write a great speech? Show them a clip of an actor delivering a truly moving speech during a movie. 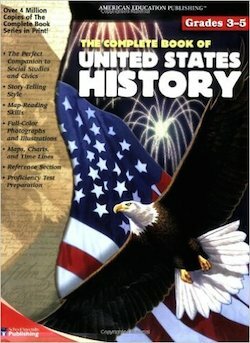 Having trouble getting students to understand the concept of a flashback? Help them see it done in movie form. Movie clips can be used to teach about characterization, conflict, setting, symbolism, and other key elements of literature. Teachers who need help getting started incorporating movies in their classroom can find a wealth of ideas through Teach With Movies, which offers lesson plans, and lists of movies and the skills they cover. For more information on how often to include movies in the classroom, also check out How to Use Movies in the Social Studies Classroom. While it is not focused on the English classroom, it may provide English teachers and teachers in other classrooms with ideas about how to get started showing movies in their own classrooms. Watch Help Teaching’s literature section for more worksheets aligned to movies as they come out.